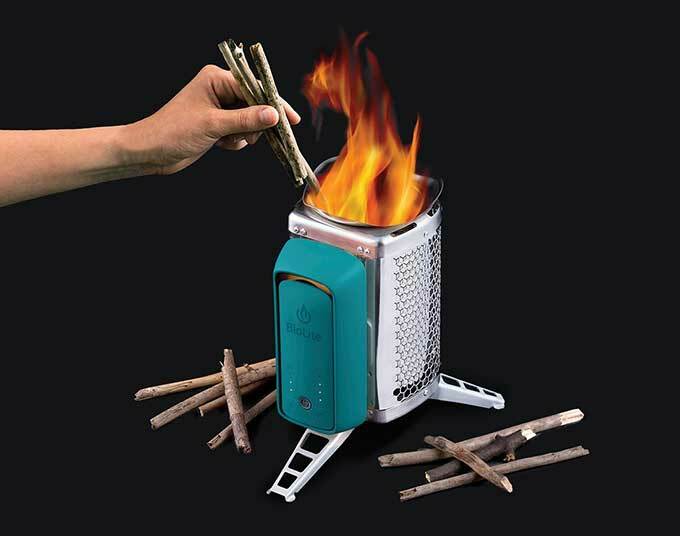 Last week I tried out BioLite's CookStove, which uses sticks for fuel and has a battery-powered fan to create a hot flame that rivals gas camping stoves. 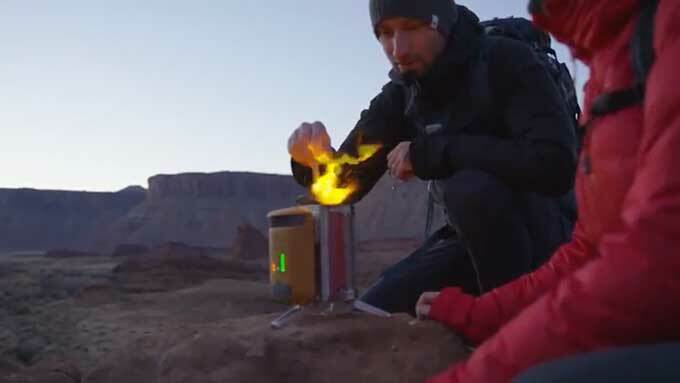 BioLite just introduced a new version of its CampStove, which is similar to the CookStove, but it has the extra feature of generating electricity from heat and storing it in its battery pack. The battery can charge the fan and charge any USB powered device as well. The video above shows how it works. I love the way it looks, and how it folds neatly into the included cloth bag. BioLite puts a lot of care into their products. 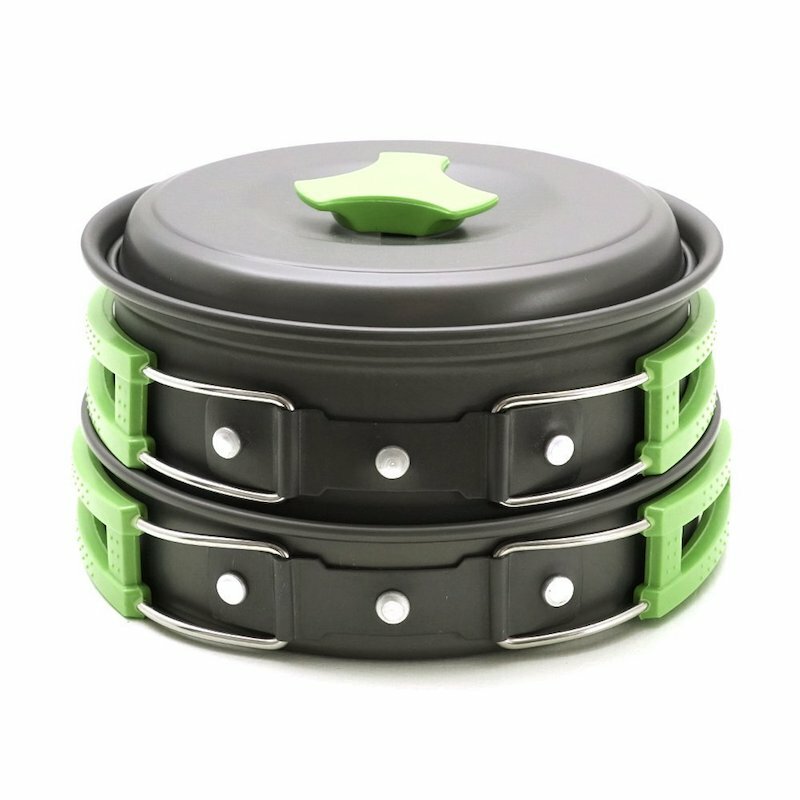 It's designed to work with the BioLite KettlePot (though you can use any old pot, really), and the Campstove Grill Attachment (to grill food). Ben Z, the lead engineer behind the CampStove 2, is the host of the video above and will be hosting a FB Live session at 1pm ET today. The friendly folks at BioLite (makers of innovative battery-powered lighting, solar charging batteries, and other cool field gear) sent me a BioLite CookStove to try out. Imagine a tin can that holds burning sticks. And attached to that can is a battery pack with a fan that blows air into the can, which makes the sticks burn hot and bright. You can put a pot on top of the can to cook food or boil water. That's what the CookStove is.